← Lily preview clip posted! So does that mean the Director’s Cut version of the Sensual World won’t be remastered – very bizarre considering all the effort that has gone into everything else; beautiful new packaging, clear as crystal new imaginings, clear as crystal Red Shoes and mirky as hell Sensual World. Also the other reissues seem pointless too if they are just going to be bog standard. As we understand it, these albums are simply being released to make them available again, much like Roy Harper re-released his albums on his own Awareness label once he retrieved the rights from EMI. But there is still a link with EMI isn’t there? She’s not completely severed all ties? I’m assuming they’re still distributing the re-issues? Will they be all-clear cases and new booklets, or virtually identical to the versions previously available? Why bother if they’re not all re-mastered, why not wait and do them properly, and add bonus tracks? This is very disappointing. Yes, as we understand it EMI is acting as distributor for the material Kate is putting out on her own Fish People label. We suspect the artwork may have been tidied up a little but not dramatically changed. 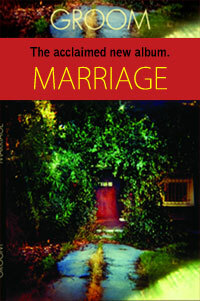 We would all have liked extra tracks, but it seems that’s not going to happen for this re-issue of these four albums. According to the recent publicity The Red Shoes is remastered, but the other three albums are not. Why bother? Well, these albums have ceased to be available on the EMI label, and as we’ve said above, the aim of this release appears simply to make them available again. It’s a missed opportunity. If people haven’t got those albums and want them, they can look on eBay as there will be hundreds on there. Or download them. Presumably Kate will never get the full rights to the first three albums as she never owned the copyright in the first place. I won’t be buying the reissues, but at least The Red Shoes has been remastered. That’s hopefully a sign that the other three will follow eventually. Probably Kate working on The Red Shoes felt ‘sod this for a game of soldiers!’ And who can blame her as I’m sure the faithful few will buy these anyway. AND, as I’ve said before: EMI, reduced to being the distributor, is getting a whole lot less money for them. … On second thoughts it would be nice to see updated packaging. It probably won’t be a plastic box, I’d say it’s likely to be similar to Aerial or Director’s Cut. That in itself is a start, even if the content is virtually unchanged. For years, Kate’s CDs have looked out-of-date next to lovingly remastered releases from other acts. Removing the plastic box will make them more attractive I think. The best presentation was of course the Japanese mini albums from 2006, but that wouldn’t really work for regular releases. Like most fans, this news is so completely underwhelming, and smells just more than a tad. If this was the case, I would completely agree. But it is not to simply make them available again. There is a new album due, and as a marketing tool, a new boxset for the fans that will include an album, The Sensual World, that will be the exact copy that everyone already has. Sure, we’re not bound and gagged to buy it, but it is a major lost opportunity, and also a waste of resources. Especially if a re-master of The Sensual World eventuates at a later date. 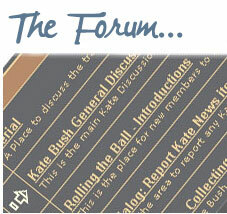 You would think with her own label now, Kate, or those with influence, would be able to do things right. This move, as nearly all would agree, is not right. I think we all thought it was a mis-print when the three-disc edition was announced as just The Red Shoes being remastered. My guess is that Kate was involved in the remastering but it took longer than she thought. It was taking her away from making the new album, and hearing those tracks again she maybe decided “I would do this bit differently now” and the Director’s Cut project was born. As she’d started re-mastering the original album though, she decided to complete it. When Homeground reported remastered releases years ago, it was mentioned that The Red Shoes and The Sensual World would be first, so in a way this is no surprise that we’re getting an album of new versions if some of those tracks. 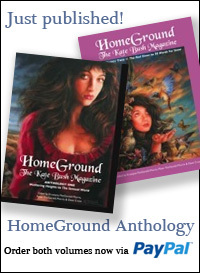 Also, in 1990, Homeground reported that Kate wanted Deeper Understanding to be the fourth single from The Sensual World, but the idea was scrapped. So in a sense, it’s no surprise that she chose the new version of that track to release as a single now. Meh. If they were like the Hounds of Love reissue of a few years ago with lots of bonus tracks (I always did prefer the 12″ remix of the song Running Up that Hill so that was my favorite inclusion), I would pick up all 4 and gladly pay the extra price for them. Simple reissues of what’s come before but with the Fish People badge, not really interested. I may buy the three disc version of Director’s Cut “just becuase”, but am still waiting on US pricing and availability news before committing on which version to own. Right now I just have the iTunes version on preorder. I for one am pleased about the re-issues- for a start I need Hounds on CD and it is either unavailable or prohibitively expensive if you can find it. I’d echo the above sentiments though- the deluxe 3cd Director’s Cut seems a bit pointless, and 5.1 mixes on DVD-Audio could be fantastic.